These pins used to come from the Clotilde catalog (IBC stands for “Imported by Clotilde”), but that business was sold to Annie’s Catalog a few years ago. 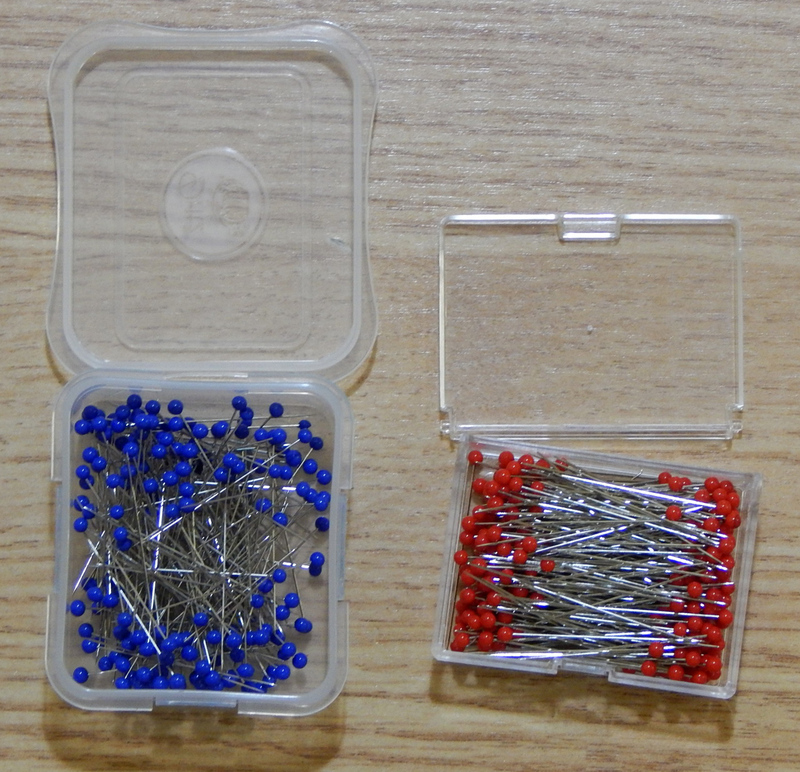 Those are the Dritz pins on the left, the IBC pins on the right. The Dritz pins came in a nicer box than the pins from Annie’s. They might even be better pins if I were sewing on thin, lightweight fabric. However, they were thinner and even more flexible than the IBC pins, and that made them actually difficult to get through quilting cotton! 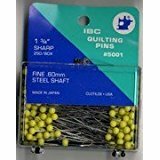 There is a larger IBC straight pin for quilting, 1-3/4 inches long! I don’t like the size of these larger pins, but I expect that for some projects they would be better. For now, I’m sticking with my regular IBC pins. Any other suggestions for great quilting straight pins?